A ruling party spokesman warned on Wednesday that the army would side with the government in any clashes over election results, backing up Defense Minister Tea Banh’s threat on Sunday to “smash the teeth” of opposition protesters who contest the results—rhetoric that the CNRP said would only drive voters into its arms. “The armed forces won’t be neutral between a political party and legal royal government, because armed forces are the national forces and the royal government that was created by elections is the government of the nation,” CPP spokesman Sok Eysan said. 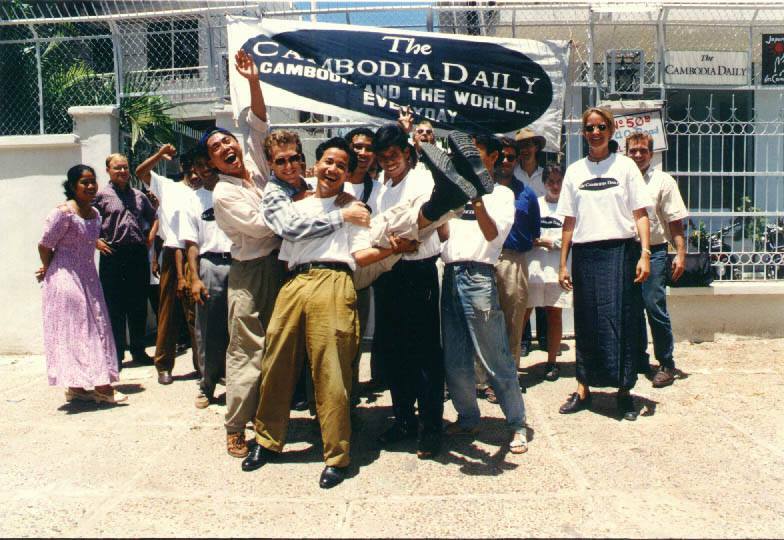 The comments step into a gray area in Cambodian law, according to legal expert Sok Sam Oeun. The 1997 General Statute of Military Personnel forbids staff from voicing their political views or participating in any political party. But that and other laws do not directly speak to the army defending one political party or clearly specify its internal security role, Mr. Sam Oeun said. Some soldiers claim that any partisan statements they make are merely done as civilians, sometimes simply by changing out of uniform, he said. “This interpretation makes the military not independent,” he said. 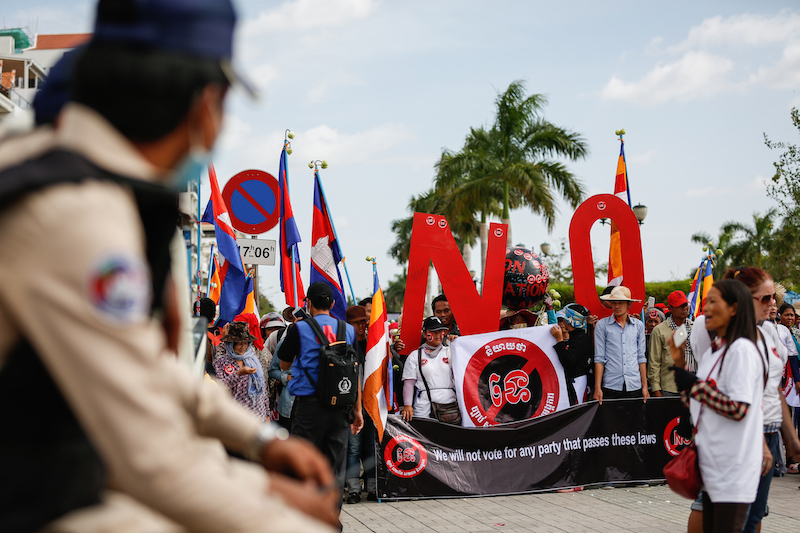 Speaking at CNRP headquarters on Wednesday, opposition President Kem Sokha predicted that the threats coming from the ruling party would galvanize opposition support. 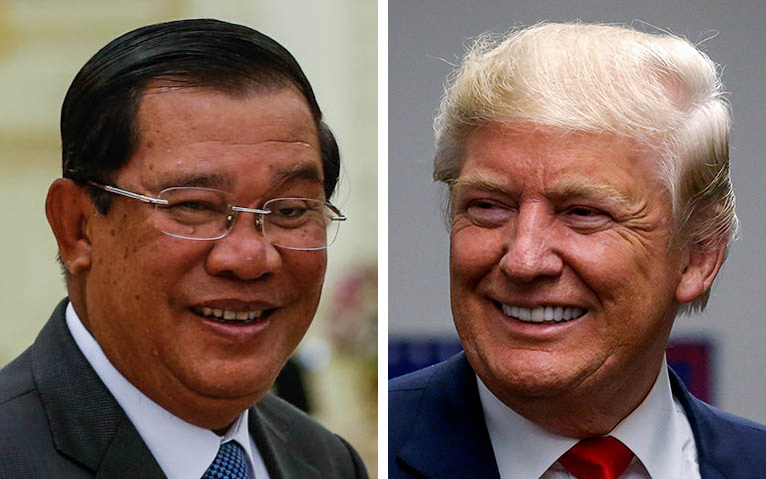 Mr. Sokha, who returned on Tuesday from a fundraising tour in the U.S., urged more restraint from his foes and complained of double standards in what kinds of rhetoric would be allowed. Mr. Sokha urged commune candidates and party supporters to remain calm in the face of threats he said the CNRP was powerless to counter. 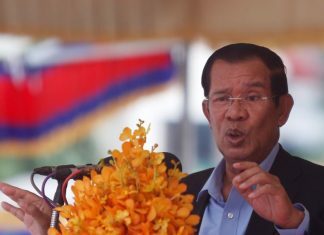 Mr. Sokha also repeated past statements that his party would resolve any impasses through peaceful, nonviolent means, and promised there would be “no war when the CNRP wins the election,” countering repeated threats from Prime Minister Hun Sen that an opposition election victory would invite chaos and war of Syrian proportions. 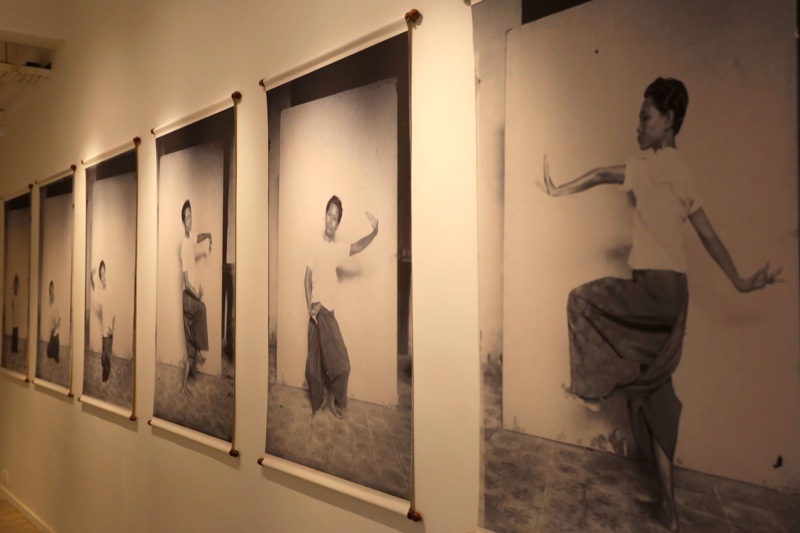 Mr. Eysan refuted that logic, claiming that voters understood the truth in General Banh’s statement on Sunday.